Kasa teatru pozostaje otwarta do rozpoczęcia spektaklu. Prosimy sprawdzić powyżej "Kup bilet". W razie pytań dot. miejsc dla osób niepełnosprawnych prosimy dzwonić pod nr tel. 608-258-4141. 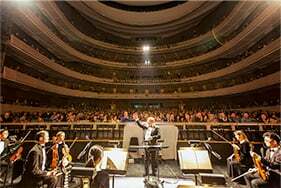 Overture Center’s central location on the corner of State and Fairchild Streets ensures easy access to convenient downtown parking. Two cashier-operated parking structures adjacent to Overture offer more than 1,400 short-term and all-day public parking spaces. Additional parking ramps can be found on State Street and the Capitol Square, and on-street metered parking is also available for short-term parking in the downtown area. Parking meter rates vary and are posted on each meter. Meters in lots and ramps are enforced 24 hours daily, 7 day per week. Street meters are enforced 8 AM to 6 PM, Monday through Saturday. For more details about parking in downtown Madison, visit www.cityofmadison.com/transportation/parking.cfm. Both the Overture Center parking ramp and the State Street Capitol ramp have elevator access and marked stalls for persons with disabilities. Metered parking spaces are also available on the street. Vehicles with disabled plates or hangtags are exempt from time limitations and may park at no charge at parking meters designated for 30 minutes or more. 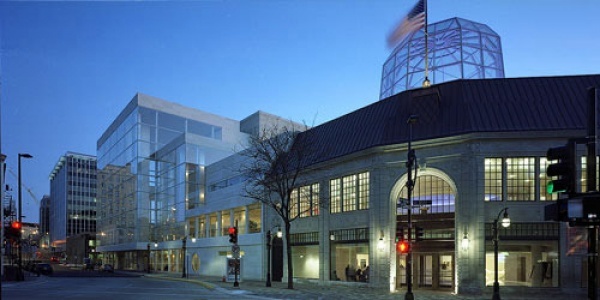 Overture Center is located between two beautiful lakes in the middle of Madison’s city center. There is a plethora of great downtown shopping and dining options located within walking distance of Overture.